The Crossmember mounts on your Camaro have voids in the stock rubber that allow for excess movement of your Crossmember. So much so that Whiteline has targeted the rear Crossmember mount has a high failure rate item. 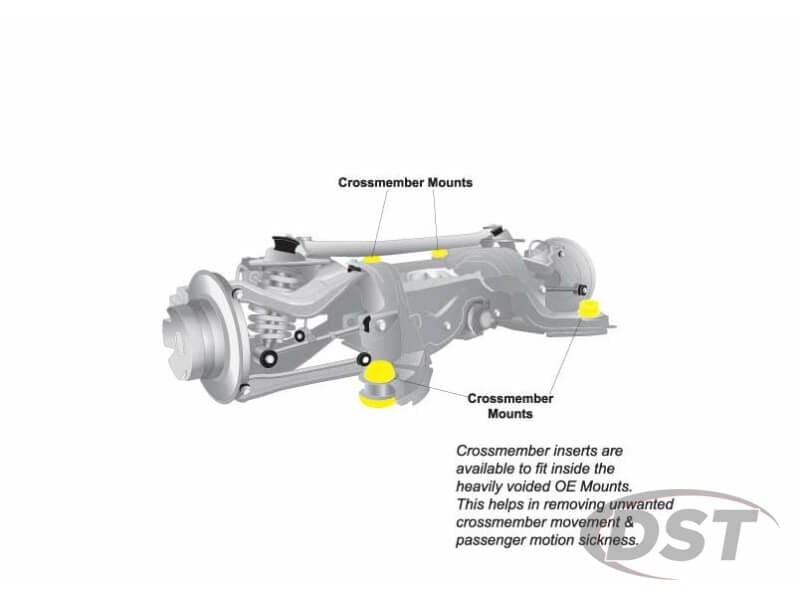 With all of that excess lateral movement on the Crossmember, not only will you be cleaning up from the motion sickness given to your passengers, but you are just not going to get the proper feel from the rear end suspension of your Camaro. 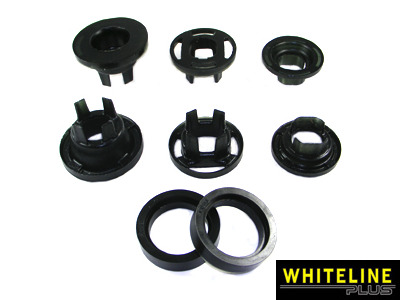 You can get that feel back in your Camaro's rear suspension with Whiteline's W93194.